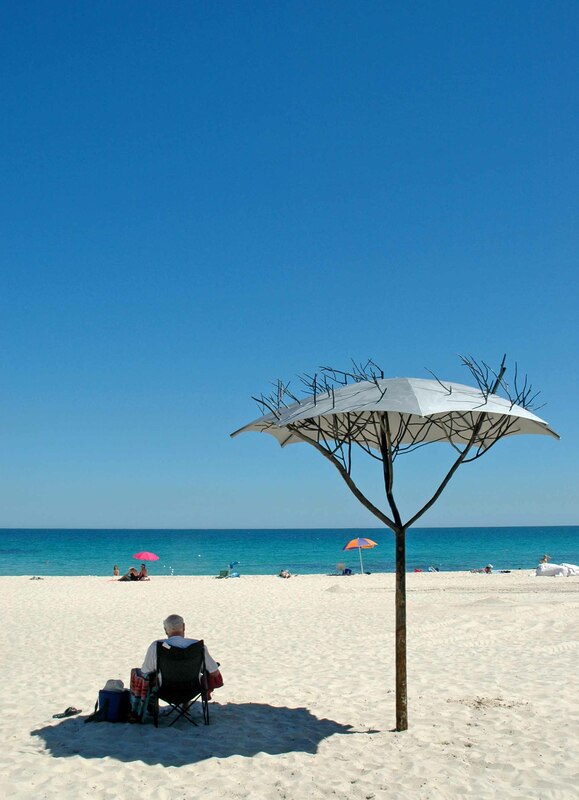 Kevin Draper, ‘Canopy’, Sculpture by the Sea, Cottesloe 2006. Photo Louise Beaumont. Written by Emeritus Professor Sasha Grishin AM, FAHA, Australian National University. Jennifer Cochrane, ‘Roundabout’, Sculpture by the Sea, Cottesloe 2007. Photo Karen Castle. 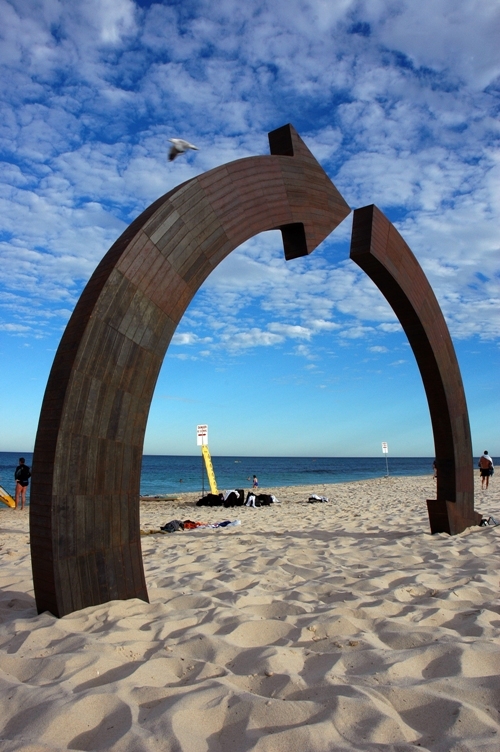 Sculpture by the Sea at Cottesloe has, for over a dozen years provided a critically significant forum for the national and international display of Sculpture in Western Australia; its unforgettable sunsets, as a setting for the display that incorporated the beach, foreshore. 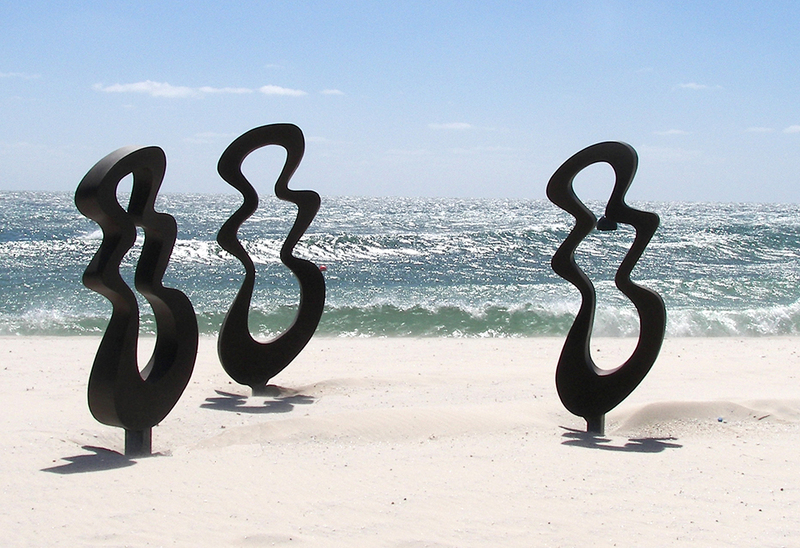 Tim MacFarlane Reid, ‘Gestural Rhythms’, Sculpture by the Sea, Cottesloe 2007. Photo Jo Coveney. 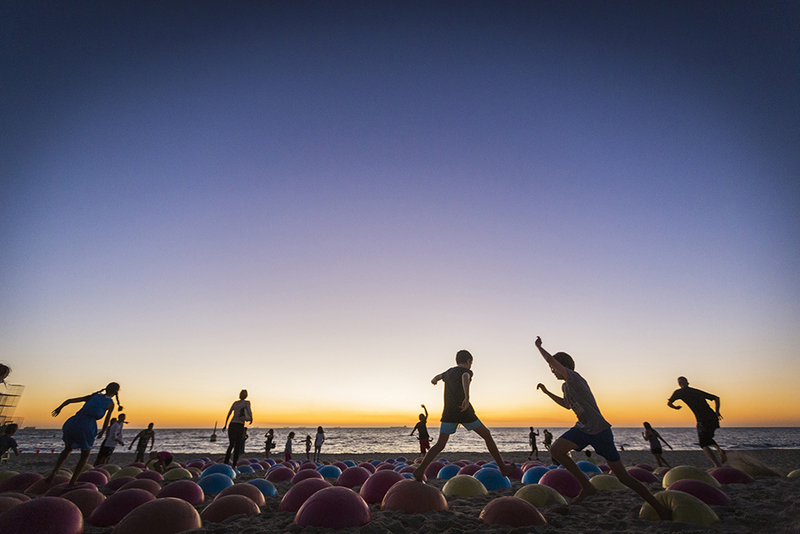 Warlukurlangu Collaboration, ‘Water Dreaming’, Sculpture by the Sea, Cottesloe 2015. Photo Jessica Wyld.